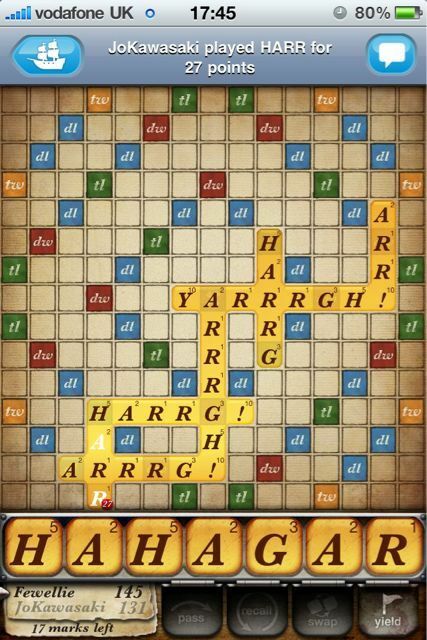 Made by the same people, it’s a hilarious twist on the Words with Friends format. It’s also extremely difficult as the only tiles you have to play with are A, R, G, H, Y and ! which makes creating acceptable words difficult.